MoTAS Weekly for 7/5/17: Ideas Wanted / August Shabbabaque / We Need Golfers! At last Sunday’s congregational meeting, there was a lot of discussion on how to get ECEC and Infant Todder Center parents more involved in the life of the congregation. There was also a discussion of how to get more members for the congregation, and especially how to get younger members: college age, young singles, and young couples with or without children. The MoTAS leadership has started a discussion amongst itself on how to achieve these goals, and we want YOUR ideas. Please send any ideas or suggestions you may have to the Weekly Editor, faigin@cahighways.org, and he’ll distribute them to the rest of the Executive Board. Signups are now open for the second Shabbabeque of the summer on Friday, August 18th. Shabbabaque starts with an outdoor service in the TAS amphitheatre at 6:15pm, featuring music from our rockin’ TAS House Band. This is followed at 7:15pm by a delicious barbeque dinner. Meat items will include turkey burgers, sirloin burgers, and Hebrew National hot dogs. Vegetarian items will include veggie patties, roasted vegetables, and baked potatoes. Afterwards, there will be a wonderful Sisterhood oneg. The full menu is on the Shabbabaque event page. Our goal is for everyone to be happy. If you have special dietary needs, please contact us at the email address below. Online Registrations: Click here or visit http://shab-bbq.tasnorthridge-motas.org/ to register. You may pay by credit card, or mail your check in advance or bring it to the event. Telephone Registrations. You may register by calling the MoTAS Voicemail at (641) 715-3900 Ext. 430235#, the Temple Office at (818) 360-2258, or emailing shab-bbq@tasnorthridge-motas.org. Note that registrations received after Weds 8/18 at 6PM are an additional $5. Reservation for this event by August 16th is strongly encouraged; an extremely-limited number of late-registration tickets are available at the door. Hillel 818 Students, Staff, Parents and Supporters: Hillel 818 Students, Staff, Parents and Supporters (and their guest) are invited to music-filled Shabbat under the sunset, immediately followed by a full dinner buffet. No cost, no kidding! Registration by the registration deadline is all that is required. ONLINE ONLY. TAS Invite a Friends/Family: We invite you to to bring a guest to the Shabbabaque so that they can see the Rockin’ place that is TAS. No cost, no kidding! You’ll find a special line item on the electronic registration for these guests. Please note: This offer applies only to residents of the San Fernando Valley not currently or previously affiliated with Temple Ahavat Shalom. This offer does not apply to late registrations. ONLINE ONLY. ECEC and Infant Toddler Center Families: We invite you to become part of our family. For the price of an adult Shabbabaque registration, you can bring your entire family. You can also bring guests as part of “Invite a friend”. Note: You do need to register the family members, just so we can know how much to order. ONLINE ONLY. To volunteer to help at the event, please contact Howard Miller at hmiller12@socal.rr.com. Play. Come out and play at the tournament. Entries are $215 per player. Sponsor. Companies and individuals can sponsor the tournament, starting at $180 for a Tee sign and going up. This is a great way for a corporation or local business to show their support. Sponsorships at the Corporate level and above include player spots, and all include advertising in the TAS Calendar/Tournament Program. Advertise. Our Tournament Program is provided to all attendees. Show your support by purchasing an ads or a message. Everyone can participate: 3 line messages are only $18, and honorarium/memorial ads are $36. Draw local businesses in to advertise, and build their relationship with the TAS community-prices start at $36 for a business card ad to $250 for a full page ad. Donate. We need prize and silent auction items. Get a local restaurant or theatre to donate a dinner/show, and advertise in the Tournament Program. Donate those sports tickets you aren’t using. Donation letters are available from the Golf Tournament website. More information, including online and printable signup forms and donation forms, is available at http://golf.tasnorthridge-motas.org or call Barry Mann at 818-360-8881 . Summer is Football Squares season! It’s an easy way to support TAS and possibly win a little back. $50 gets you a random square on the board, where randomized rows and columns have the digits 0 through 9. During Monday Night Football season, match the last digit of the home and away team scores in a quarter and win! More information, complete rules, online signup, and signup forms are available at http://squares.tasnorthridge-motas.org, or contact Bob Levine (818-271-1282, tasboblevine@gmail.com) or Kathy Pullman (gridmaven@tasnorthridge-motas.org). Forms will soon be available in the Temple Foyer. Funds raised by the Sports Squares programs are used to fund specific needs that are often unfunded, and expenditures are distinct from MoTAS’ general fund contributions. Registration closes at 6:00 PM on Friday, September 8. As you recall, the net proceeds for the Football Squares goes to support TAS projects that cannot be funded, either adequately, or at all, by current temple budgeting. It is your support that makes these things happen. 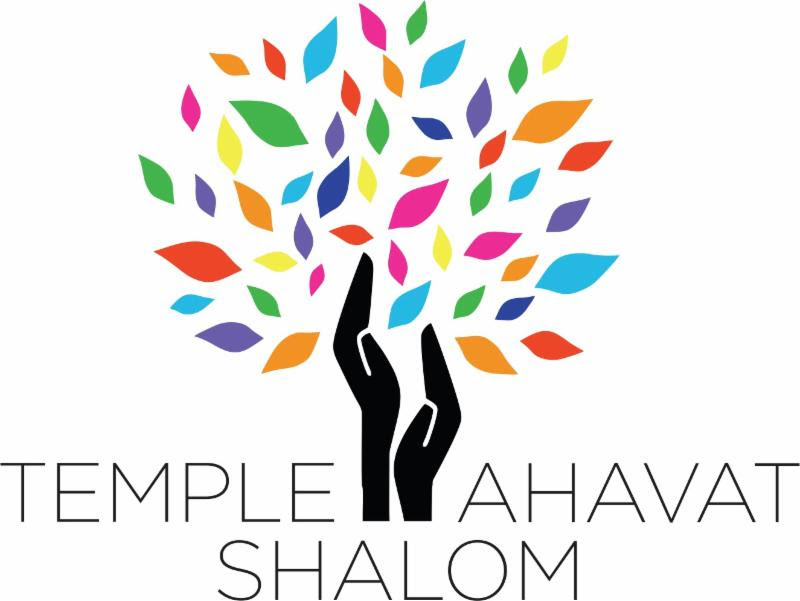 As a result of your participation and support, the temple has had a major overhaul to the kitchen, and we have been able to offer more campership funds to allow our youth to go to Jewish camp in the summer. We hope you can see your way to be part of our team this season. You might win some money, but the temple is the big winner. A warm thank-you from the Men of TAS. Our July “Dining Does Good” will be Monday, July 24 at PizzaRev in Northridge in support of MoTAS and TAS High. You can find a flyer for the event at https://wp.tasnorthridge-motas.org/activities/dining/. We really encourage you to come and support these events: we raise a little extra funds for various groups, but more importantly, we come together and break bread as a Temple family on a regular basis. It is a real joy to walk into a neighborhood restaurant and see your Temple friends, to sit down and share a table and talk. This is the heart and goal of MoTAS: Building Relationships.